The AC / DC announced US dates of "Rock or Bust Tour". Shows in the US and Canada will take place between August 22 and September 28 in cities like Los Angeles and San Francisco. The first concert will take place in Foxborough in Massachusetts. Before that, the band already has 28 confirmed concerts in Europe between May and July, starting on May 5 in the Netherlands. Thus, the possibility of the band’s performance at the Rock in Rio is virtually ruled out. This is because the Rio festival takes place from the middle to the end of September. Furthermore, confirmation of these dates give more credence to the story that South America will be the next stop on the tour, news that circulated by the press a few months ago. 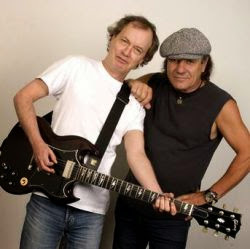 Their current lineup includes lead singer Brian Johnson, bassist Cliff Williams, guitarist Angus Young, guitarist Stevie Young and drummer Chris Slade. Its present-day group comes with head singer John Manley, bassist High cliff Williams, musician Angus Little, musician Stevie Little plus drummer Chad Slade.